This past Monday the MassMutual Center in Springfield resonated with music and dance to honor Dr. Martin Luther King, Jr. In a ceremony framed by tremendous community participation, local and regional dignitaries, and the moving eloquence of Dr. King, 700 young artists took to the stage in a dazzling and colorful celebration. 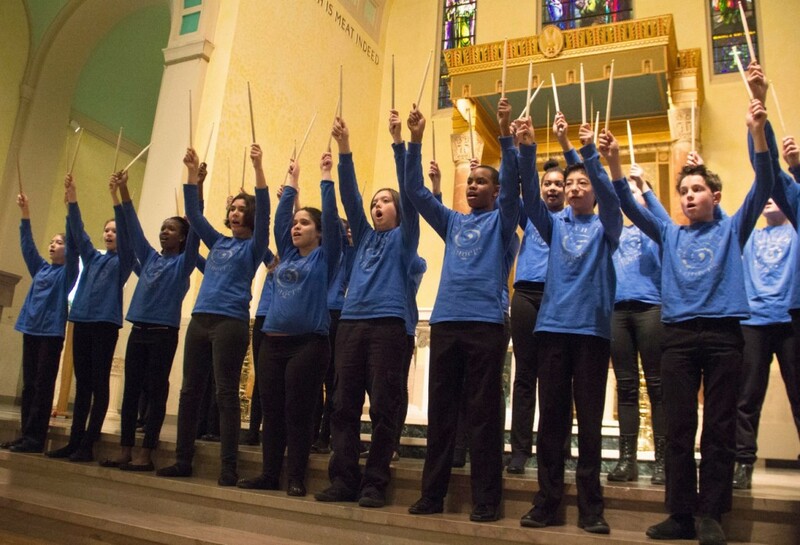 Performers included members of the Sonido Musica School Partnership programs, which features students from 16 public schools in the city that which receive funding from MCC’s STARS Residencies. Sonido Musica is a program of Community Music School of Springfield, a nonprofit organization that unifies youth of different ages and backgrounds through performing arts education and is the recipient of MCC’s SerHacer funding. 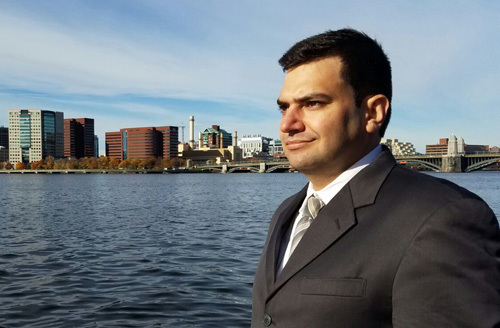 What do you do at the Massachusetts Cultural Council? I collaborate with my colleagues in the department in supervising the grant programs and providing applicants with technical assistance. Due to my background with El Sistema inspired initiatives around the world, I also manage the SerHacer Program which supports the growing number of intensive, ensemble-based music programs that use music as a vehicle for social change. I had a very rocky schooling experience in my native Venezuela, typical education was not cutting it for me. Thanks to an attentive high school principal that helped me focus on the arts and humanities, I was able to find my way in life into a creative career. I want to make it easier on young people to find that principal, teacher, or mentor. Preconceptions regarding artists, audiences, individual growth, and public benefit. So much of our work balances on challenging these, so that more support is gathered and more communities are benefited. It’s always difficult to understand how different people or positions simply have a very different perspective on what they consider to be valuable, so one always needs to take a couple of steps back and try to realize where the other person or group comes from. This process can happen quickly, but sometimes requires considerable thought and conversation before reaching common ground, and typically time is working against everyone… Sometimes it’s exhausting, but it is always quite rewarding. I’m an avid board and strategy gamer. I find games to be an excellent exercise in management and creativity within set boundaries. Winning or losing is not as relevant to me as the actual social experience. I’m a very curious cook and foodie, so I’m always keen on creating and participating in exciting culinary experiences and experiments…I also paint miniatures and components for my gaming hobby. I had the privilege of working for many years with the founder of El Sistema, Maestro Jose Antonio Abreu, and I find his work falls completely in line with the principles of Creative Youth Development. Maestro Abreu’s dedication in creating a national network of music education caused dramatic change in the professional landscape in Venezuela, one where the arts and the artist are integral to the communities they exist in. As much as I realize that this was possible in part to the very peculiar historical moment of El Sistema’s birth, I see much of Abreu’s drive, creativity, and passion in many CYD organizations in Massachusetts, which is why I took this job in the first place! Learning to deal with four seasons instead of two, hitting the road to all corners of Massachusetts to meet and support amazing programs and young artists, but most of all to keep working to support and showcase the amazing field of practice that is Creative Youth Development, not only to our constituents and legislators, but to the world at large. What do you do at Boston City Singers? I do pretty much everything! I conduct several of our choirs, including the most advanced, Tour Choir. I enjoy meeting with our donors, creating new arrangements of music with our outstanding staff (often based on folk songs or spirituals). I work on our grantwriting team, and conduct 5 of our 15 programs. And recommendations! Last year I wrote over 100 for our graduating seniors. We were delighted that they earned over $300,000 in scholarships. 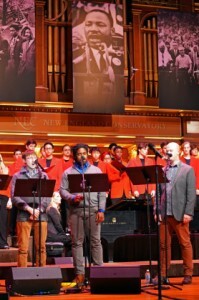 At Boston City Singers we believe in supporting the upward trajectory of each of our singers. There is nothing more rewarding than supporting the growth of a young person all the way through to college and beyond. I am passionate about excellent repertoire which speaks to the diversity of our singers and audiences. As our work has continued to grow, we have been challenged to find rehearsal and performance space that is both safe and accessible in the communities we serve. We have always been based in Dorchester, MA. In our earliest years, potential partners, funders, and Board members would be turned off by that. Few would visit, and it was not always easy to be taken seriously. More than once we heard “You are from Dorchester? You can’t be any good…” Over time, Dorchester has changed and continues to evolve into something far more positive. We like to think that we have been a part of that process. Once a year, I go back home to New Zealand for a couple of weeks, where I walk the length of one local beach each day and cook for my brother and his family. I am an avid knitter, home cook, and co-restorer of our Victorian home. We have had a long relationship with the Corrymeela Centre in County Antrim, Northern Ireland. We led a choir project in Ireland in 2005 aimed at bringing children from both sides of the border together in song. One of the highlights was a residency at the Centre where I experienced first hand the power of creative youth development. We have worked closely with one of their volunteers ever since crafting leadership and youth development programs across the organization. The Brazilian singers Marisa Monte, anything Ella Fitzgerald and the Canadian choir Elektra. Do you live with any animals? I am a foster parent for New England Brittany Rescue. We adopted our first dog, Brady, three years ago. He is 12 now, but very active and an awesome host dog to our fosters. Let’s find a way to make this happen! My husband and I are visiting Cuba in February, meeting with local choirs, musicians and teachers, then off to South Africa with 40 members of the Tour Choir in the summer. What do you do at Zumix? 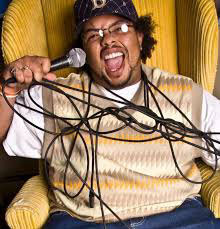 I plan and run creative writing and performance programs for teens. I also teach literature through creative writing for the 9th grade class at East Boston High School. I manage, support, and train ZUMIX performance instructors to be their best, so that they can offer the best learning experience for their students. I feel like this is my calling. Through my love of hip hop, I was able to learn how to read and write. I help empower so many others though understanding their voice and expressing themselves. Taking a boring subject or topic and finding a fun, engaging, and exciting way to introduce it to students. Not being paid enough. I wonder if we will have donors and the money to keep doing this work in the future. I also find it a challenge to continue to prove to the academic world that my spiritual and artistic approach is important, and in a lot of cases, is what’s missing. It means the world to me and to my community for everyone to have access to arts and education. 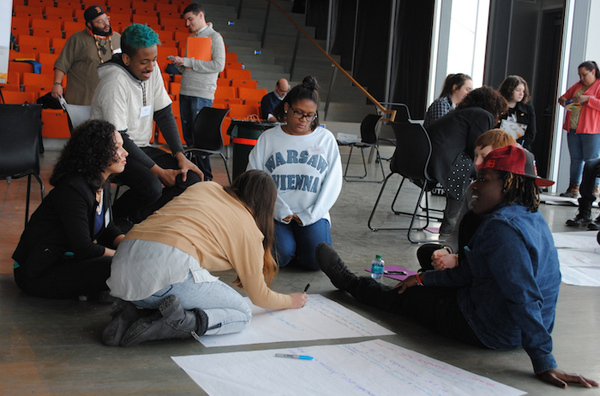 In a city where our public schools have no music programs and youth are told to memorize facts like computer programming, it means so much to provide a creative outlet for expression – one that incorporates critical thinking, reflection and growth along with theory and practice. Going on long drives. Getting lost, either physically or with the paper, pen and a hip hop track. In my free time I like to evolve my curriculum and create unique, fun approaches to writing and music making. My homie, Eric Booth, and my big homie, Mo Barbosa. Eric is wicked smart and has a way with words. He takes this profession and validates it. Mo is super thoughtful and smart in his approach in youth work. It’s comforting every time to talk to these guys about the work. They are so confident in the field and it rubs off. What music do you like to listen to (if even a little too loudly)? No shame, I have been feeling the new Bruno Mars track 24KRT. I think I like it, because it’s pretty funky, and I’m sure I can bust like 95% of the dance moves I have to it. Why Are All the Black Kids Sitting Together in the Cafeteria, by Beverly Daniel Tatum. I want to write my own book and tell my story about how hip hop helped this young man go from being illiterate to becoming one of the best educators this city has. Check out Corey’s tracks on SoundCloud. Last week, in New York’s Hudson valley, Bard College hosted the first National Take a Stand Festival, bringing together student-musicians participating in El Sistema-inspired programs from across the country for a 5-day music camp. The National Take a Stand Festival is provided to students free of charge through a partnership between the Los Angeles Philharmonic, Venezuela’s FundaMusical, Longy School of Music, Aspen Music Festival and School, and Bard College. For some students, the Festival was their first experience traveling out of state, and gave them the opportunity to collaborate with peers from different parts of the country as they work with exceptional master teachers and musicians on challenging musical repertoire. Approximately 80 participants, ages 11-17, were selected for the Eastern Festival. (The western states’ Festival was held in Aspen in June.) Twenty-five participants were from Massachusetts, making it the largest delegation from any single state. 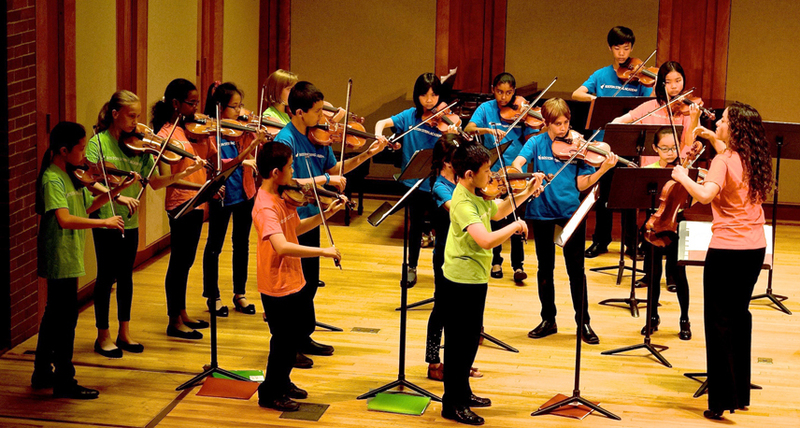 Most of the Massachusetts students (including 13 from Boston String Academy, whose program is pictured above) also participate in programs supported by MCC’s SerHacer Program. In addition to its large student contingent, Boston String Academy’s excellence was recognized with the selection of Co-Director Mariesther Alvarez to join the Festival’s roster of 10 Master Teachers who ground both the Western and Eastern Festivals. Co-Director Marielisa Alvarez was also invited to teach at the Eastern Festival. The El Sistema model originated in Venezuela with the goal of promoting social change and citizenship through music, primarily by providing orchestral music experiences universally. 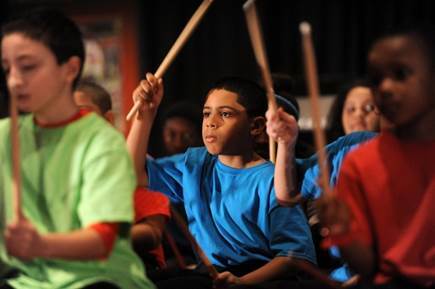 In its 40 years, El Sistema has inspired thousands of music educators around the world. 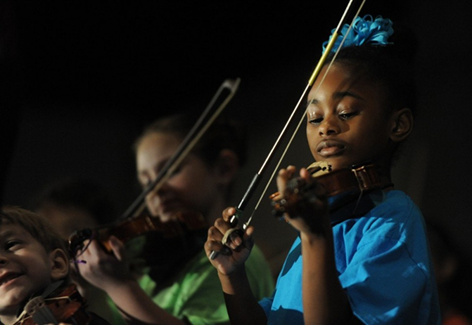 The Johnson String Project is dedicated to ensuring that all students in El Sistema-inspired programs in Massachusetts have access to high quality string instruments. But this is more than a simple ‘donate an instrument’ program. Instead, students are guaranteed a quality instrument that they can exchange as they grow and can have them maintained and repaired at no cost. 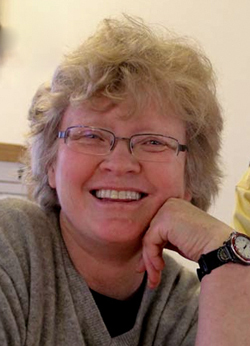 Hear more about the origins of the Johnson String Project from Carol Johnson on Mass Cultural Council’s podcast, Creative Minds Out Loud. Four MCC-funded programs have been chosen among the 50 finalists for the 2016 National Arts and Humanities Youth Program Award. Congratulations to BalletRox, Boston City Singers, Inquilinos Boricuas en Acción, and The Theater Offensive, Inc. for achieving their Finalist Certificate of Excellence – a testament to the outstanding Creative Youth Development work happening in the Commonwealth, and testimony to all of those committed to working with youth to achieve social change through the arts, humanities, and sciences. The National Arts and Humanities Youth Program Award, given by the President’s Committee on the Arts and the Humanities, is the nation’s highest honor for out-of-school arts and humanities programs that celebrate the creativity of America’s young people, particularly those from underserved communities. This award recognizes and supports excellence in programs that open new pathways to learning, self-discovery, and achievement. Each year, the National Arts and Humanities Youth Program Awards recognize 12 outstanding programs in the United States, from a wide range of urban and rural settings. 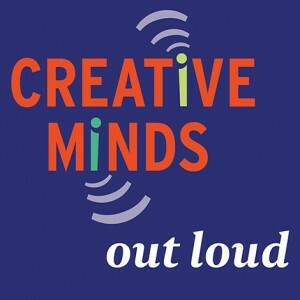 Join us for informative and lively conversations with arts and cultural leaders through Creative Minds Out Loud. Our new podcast was created to give a glimpse into Massachusetts’ cultural capital; to inform, to inspire, and to share the stories of our sector. Listen and subscribe now. Recent episodes feature Artists For Humanity‘s Susan Rodgerson and Boston Children’s Chorus‘ Dr. Anthony Trecek-King.